Although this was a bizarre and challenging experience, in the end, it was an incredibly rewarding one. Not only did we discuss project-based learning and learn different approaches to evoking independent thinking, we lived it. There were times I struggled with the amount of new technology features (a language onto itself), but realize these were tools being thrown in our direction to help. Sometimes it was too much and I did not have enough room to catch everything that was coming in my direction, especially as I was caught up thinking about the big picture of the project. I felt I had moments of “I won’t learn from you” and had to turn off the input button in my brain in order to keep my level of sanity and anxiety at a functional level. With the speed of the class and the daunting task of creating the iBook, I realized that I would have to pick up just enough to complete a given task. One step at a time. Within our small groups, there were experts in technology that coached me through seemingly easy tasks of tech navigation. Along the way, I became more comfortable with the basics and will look to pick up tech savvy skills that I can include in my classroom. I am living in the future after all. There were also very knowledgeable team members of our region of study. As I read of Yup’ik concepts, I could ask Jimmy who is Yup’ik, “is this true?” He would either confirm with a “yes” and elaborate or offer a “I haven’t heard of that.” Sometimes a word would be from another language in the region and he would have his own line of inquiry to follow. Later as I wrote, the weight of these dialogues added an authority to my voice that I would not have if I had just paraphrased a passage in a book. As a group, we could challenge and enlighten each other. We debated over word choices in a respectful manner. 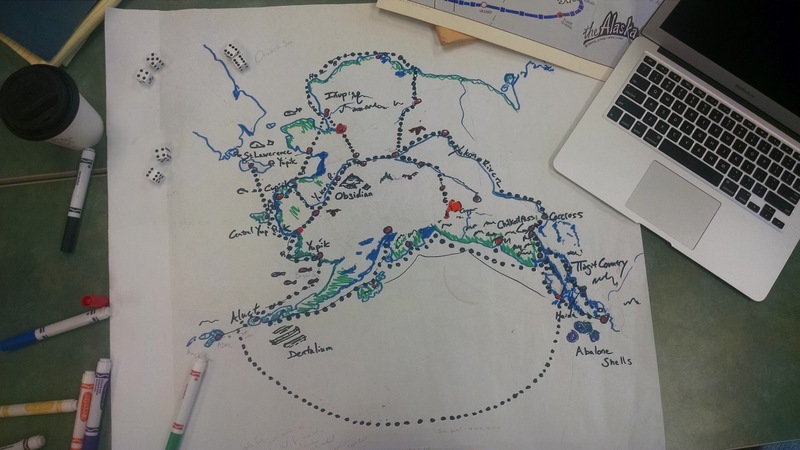 Slowly the Alaska Studies aspect of Alaska Studies was seeping in and we were truly learning about Alaska. 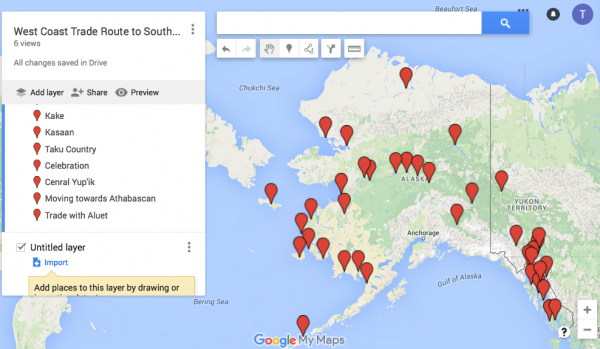 Before this project, I had slightly above average background knowledge of Alaska. Now, I feel have a personal connection to my understanding of Alaska and especially the West Coast region. There was a method to the madness after all, and in the end I believe as class we created a pretty impressive product that will be a great jumping off point for other educators. The experience itself was not perfect, nothing is, but I believe this work in progress approach is important. I saw teaching theories put to practice, and recognize the value of awakening our own critical thinking. As they say, “Practice what you preach”. 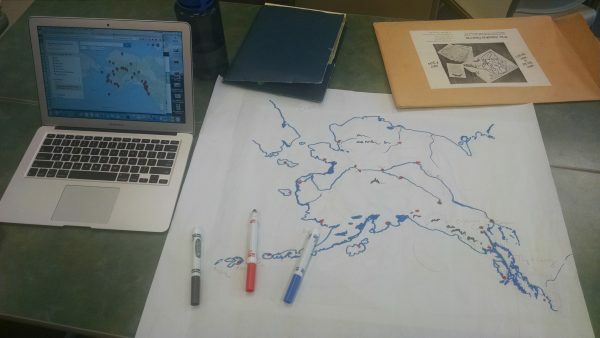 I felt a little “old school meets new school” and a moment or two of ” I won’t learn from you”, but in the end I’m right there with you in having developed a personal connection to my learning and a heightened understanding of Alaska, its people, and their history. Next Next post: MultiCultural ED Final reflections.